In the April 2016 issue of Downhome, we bring you the stories behind the province’s wooden boats and the people who built, and still build, them. We saved the following two tales just for the web. It’s March, sometime in the 1950s on Horse Islands. The hungry month, they call it. Llewellyn Curtis has been preparing for it. It’s been on his mind all winter, as he whittled down the frames of the gunning punt he was building, getting them thinner and thinner, until they were as light as they could be without failing. He sucked in the sides, pulling the small punt’s gunwales closer together. He knew he was pushing the limits of how thin this boat could get. But look at a herring - thin and quick. That’s what this boat would be. It was a cranky boat, rowed out of the harbour by a hungry man; handled by an unskilled oarsman, that boat would have nothing in her but water. Llewellyn knew this. He also knew how to handle a pair of oars. Had to, really. There weren’t many motors around Newfoundland’s Northern Peninsula. This boat (pictured above) was an embodiment of necessity - it had to be fast to retrieve the birds and seals he was about to shoot. Too slow, and he would return empty handed to his family, hungrier. And he had to be the one to build it, because in these parts, if you wanted something, you made it. But it proved its worth, this boat. He got his seals and his birds. And, like he figured it would, the boat calmed down with a seal in the bottom for ballast. It was a good boat, worth keeping. A boat his grandson would have - some 60 or 70 years later - hanging in the rafters of his stage, to be spotted by a folklorist on a hunt of her own, accompanied by a boat builder who would one day retell this story of the cranky beauty from Horse Islands. There’s an old traditional Newfoundland folk song, "Squid Jigging Ground," written by Arthur Scammell of Change Islands in 1928. He names Bobby Watton and his brother Nobby in the song, along with other squid jigging fishermen from Change Islands. In the summer of 2016, Crystal Brae, a folklorist with the Wooden Boat Museum of Newfoundland and Labrador, was in Change Islands, searching for wooden boats to document. She was staying in an AirBnB, where her hosts pointed out the old store shed that once belonged to Bobby. Later that day, she spotted an old boat up against a shed and began asking around, looking to see who owned it. It was in rough shape, but Crystal could see that it had the lines of a row punt that had been modified to accept an outboard motor. To her experienced eye, this boat was old enough to have been used during the transition from row to motor power. Her small car wouldn’t fit a boat, and she declined. But her hosts took the fellow up on his offer, and Bobby’s boat, possibly even the boat he was in that day Arthur surveyed the scene, recording it in song, is now back in Bobby’s store, likely the spot it was built more than 70 years ago, says Crystal. 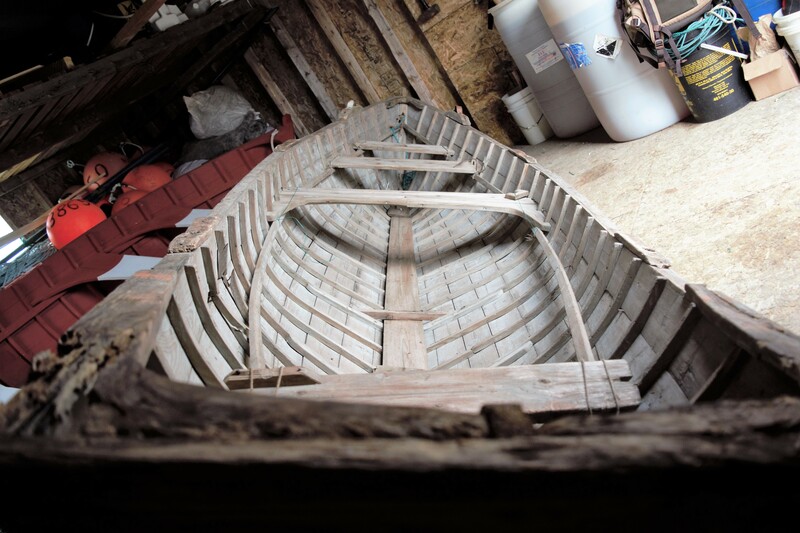 Find more stories about traditional boats and their builders in "Dories & Stories" in the April 2016 issue of Downhome. The SS Kyle, built in 1912, has become a fixture of Harbour Grace, Newfoundland since it grounded just off its shores during a storm in February 1967. A member of the provinceâs famed Alphabet Fleet, the ship once transported essential goods, mail and medical supplies - and everyone from sealers to soldiers - around the coast of Newfoundland and Labrador (and sometimes, beyond).In the half-century since her grounding, the sight of the 220-foot sailing vessel sitting in the water has become a familiar one for locals and a draw for tourists. 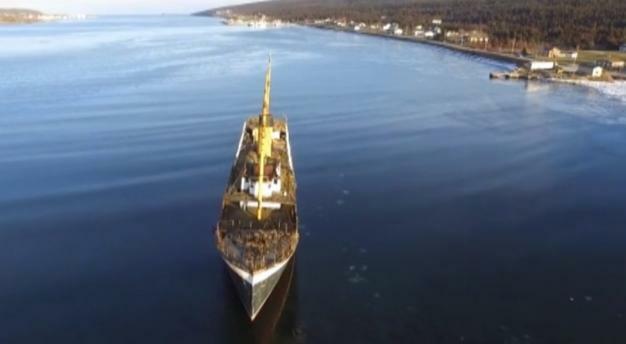 Thanks to College of the North Atlantic (CNA) journalism student Chris Lewis of Carbonear, Newfoundland, thereâs now a whole new view of the ship to admire.After taking a course on drones, Chris chose to test out his own drone by shooting footage from high above the iconic vessel.âWe figured it would be cool to fly around and see if we could see what no one else has seen - to get a birdâs-eye view. The footage turned out a lot better than we expected, so I put it all together into a little video,â Chris says. Since posting the video (including a reading of the poem The Smokeroom on the Kyle by the late Ted Russell) online, it's received thousands of views. With the SS Kyle in a bad state of disrepair, Chrisâ video might have been shot just in time. After spending more than a century on the water, the future of the deteriorating ship is uncertain. How a Gander native has become celebrated for his architectural designs in Norway and around the world By Ashley Colombe Take a deep breath and close your eyes. Imagine yourself hovering high among the treetops, admiring the panorama laid out before you. It's a living postcard dominated by the deep blue waters of a spectacular fiord below and a mountain range rising in the distance. This is how it feels to be standing on the Aurland Lookout in Norway, an architectural masterpiece being touted as one of the new "seven wonders of the world." The creative force behind this one-of-a-kind structure is Todd Saunders, whose interest in structural design was born while tinkering away as a young boy, building small cabins in the woods near his childhood home in Gander, Newfoundland. Now 38, Todd is living an ocean away, raising a family and running his own business - Saunders Architecture - in Bergen, Norway. Though proud of all the structures he's designed, Todd admits the Aurland Lookout stands out, for him, as his greatest architectural accomplishment. Todd Saunders holds his daughter, Sina, while poring over architectural plans with fellow architect, Ryan Jorgensen. Todd's road to building this world-renowned structure came with hard work and dedication - and a willingness to take a chance on the craft that he loves. During his studies in architecture at McGill University in Montreal, Todd received a travelling scholarship to study abroad. He packed his bags and headed for Europe, where he hitchhiked from Paris, France, to China over a period of nine months. During this time he spent about eight weeks in Norway; he fell in love with the place and moved there in 1997. "I came here and I didn't have a friend, I didn't know the language; it was sink or swim," he recalls. Though in some ways, it also reminded him of home. 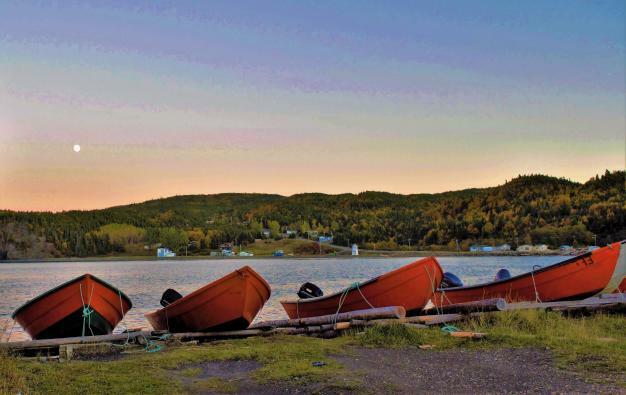 "It's an amazing place, with many parallels to Newfoundland - bakeapples, cod fish, seal, partridgeberries and salmon fishing." But more importantly, it was also a place where he could get valuable experience and work as an architect. Then in 2002, he got the big break that would lead him to international acclaim. 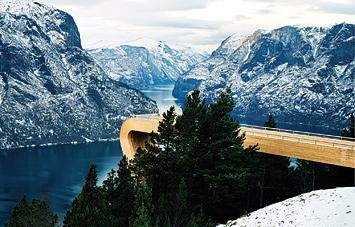 Todd and his business partner at the time, Tommie Wilhelmsen, entered their original design in the competition to build the Aurland Lookout. They won, and the Norwegian government awarded them the contract. In the summer of 2006, the magnificent site opened to great fanfare. Despite all the publicity, Todd insists he didn't find the project intimidating. "We knew it was a great idea and we had confidence, a great client, excellent engineers, experienced builders and an amazing site. It was a recipe for a wonderful project," he says. "The idea felt right, so one approached the whole building process without doubt." Respect for Nature Although a great deal of careful preparation went into the design, ironically, the Aurland Lookout itself is not what tourists from around the world come to see. 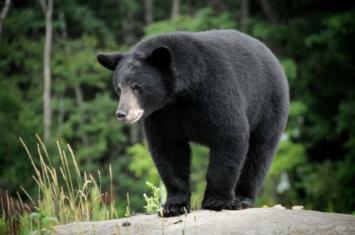 It is merely a platform from which to view nature at its finest - like a gift to the public, says Todd. And that's just fine with him. Visitors stand at the end of the long lookout "bridge" and peer over the edge, with nothing but a wall of barely perceptible glass separating them from the spectacular view. "I've been in more than 80 countries around the world and have seen some very amazing landscapes, yet it's seldom that one sees architecture from the past 50 years that impresses you as much as the natural landscape," he explains. Because of his deep appreciation for nature, one of his biggest challenges as an architect is often not to build at all. "I've said 'no' to dozens of projects, as they will just ruin the existing landscape. In most cases, though, architecture can enhance a natural landscape if it is integrated with respect," says Todd. This philosophy permeates all of Todd's work, from which projects he plans, to the locations he selects and even the building materials he chooses. Many of the homes he's designed have shredded newspapers, sawdust and wool as insulation. And he avoids the use of plastic, favouring natural materials instead. Todd, who earned a Bachelor of Environmental Planning and Design from the Nova Scotia College of Art and Design, was also the driving force behind an ecological sewage treatment system for a small village on the west coast of Norway; it consists of three ponds and uses plants to clean the water. "I'd like to work on more town-planning projects based on car-free environments where the pedestrians are the focus," says Todd, who usually works on about 10-15 architectural plans each year, ranging from small houses to larger parks. "I'm not really interested in money projects," he says, adding it's more important to him that his creations can (like the Aurland Lookout) be enjoyed by the general public, instead of just a few people. Between his travels and meetings with clients, Todd is busy running the company - which consists of himself and three other architects - he's now owned for five years. On top of this, he also finds time to teach all over Europe and in Canada, from regular classes at the local architecture school near his home in Norway, to lectures in Austria, Finland and Quebec. "(Teaching) keeps me fresh, because you can really get stuck in your own ways," Todd says. "The students ask interesting questions all the time and it keeps you on your toes because you never really know for yourself; you have to think." Bringing his talent home In part, Todd credits extensive travelling for his success in architecture, saying it's given him a unique perspective on his work. Yet he finds himself still drawn to the first place he ever knew. 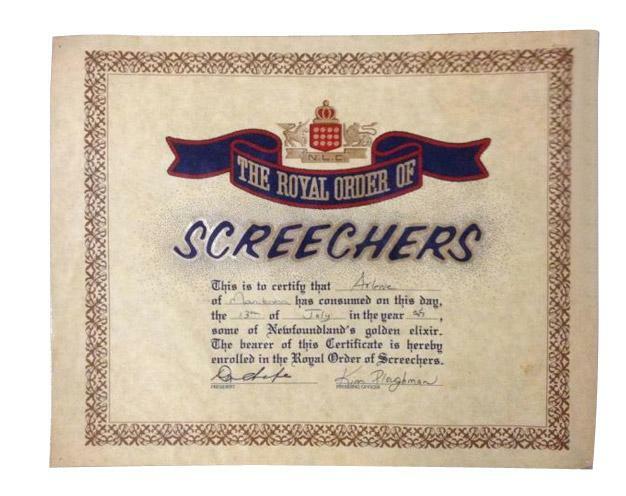 "It would be really nice to do a project in Newfoundland that took up the spirit of Newfoundland," says Todd. It looks like this ambition may be realized in the near future. Todd confirms that a "very exciting project" set for somewhere in this province will be announced by the client in the next few months. Though Todd worked in Newfoundland for other architects when he was just starting out, this will be the first time he's led his own project in this province. Over the last year, he's been back and forth between Norway and Newfoundland preparing for the project, and he plans to spend most of this summer here working on it. The rest, he says, will remain a secret for now. The design and location may be under wraps, but if the client has hired the guy who designed the Aurland Lookout, it's probably a unique and spectacular project. And in Todd, the client has found someone who takes pride in the quality of his work. "I'm more interested in quality than quantity," says Todd. "What I do hope is that when I'm old and fly fishing on Gambo River, I can look back on at least 10 great projects." One down, nine to go. To learn more about Todd Saunders' projects - past and present - and to see photos of each, visit www.saunders.no.